The cause of angina, heart attacks and most cases of sudden death. 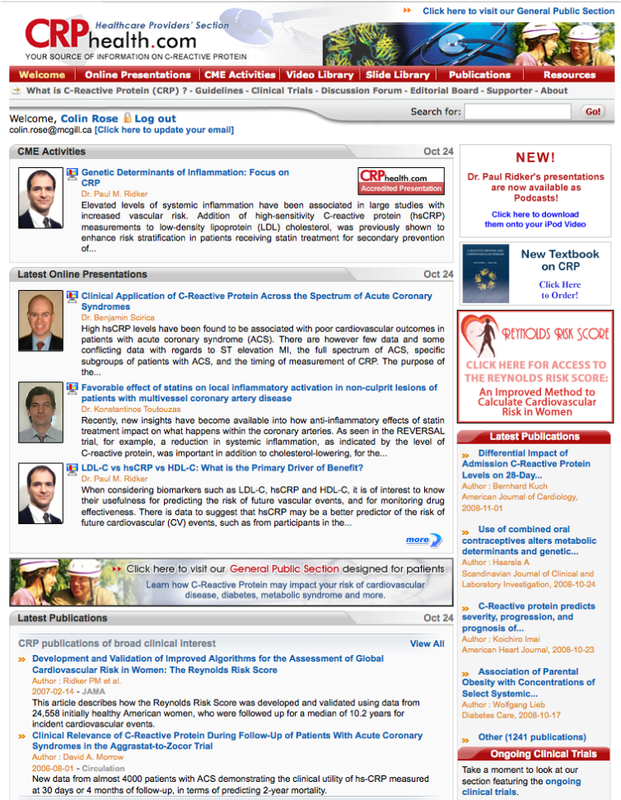 Dr. Paul Ridker, the inventor of a method for sensitively measuring C-reactive protein, has made a career and much money flogging the notion that C-Reactive protein, produced in the liver in response to various physiological stresses like inflammation and abdominal obesity, is the cause of atherosclerosis and must be treated. 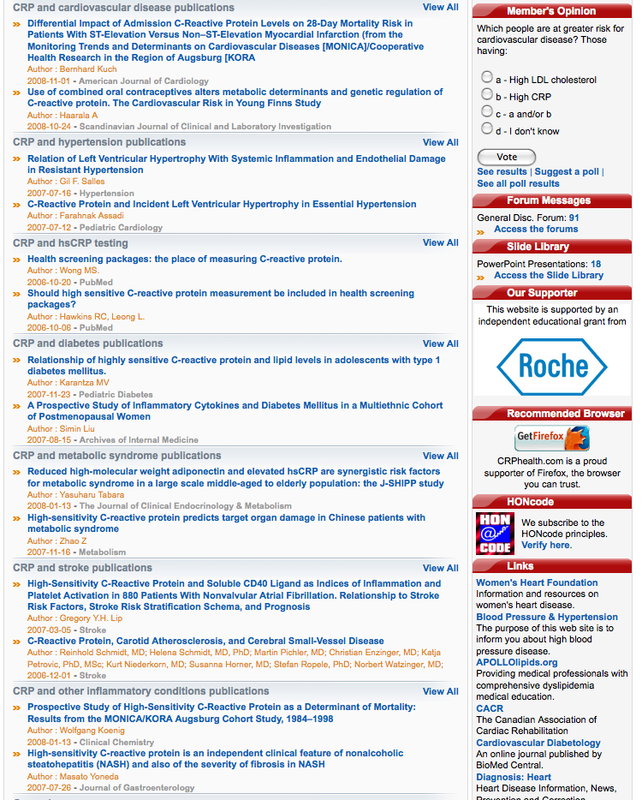 Ridker’s web site promotes the wonderful benefits of measuring hsCRP and “treating” it with drugs, most notably statins. He has been successful in convincing most cardiologists and family doctors that hsCRP is and essential measurement in assessing “risk”. However, there was never any proof that doing so would prolong life or prevent any disease. But a clever non-American group in Copenhagen, remembering the basic rule that correlation is not causation, refused to be intimidated by Ridker’s arrogant, industry-funded propaganda and showed that people with genetic abnormalities that raise blood hsCRP without inflammation do not have more atherosclerosis. 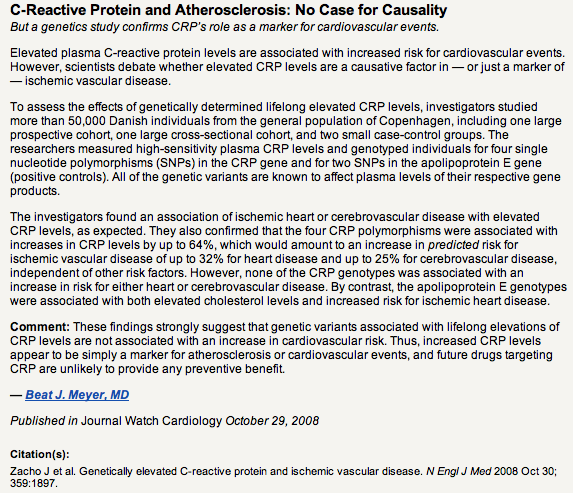 Like blood cholesterol, CRP is just another marker of an atherogenic lifestyle and excess visceral fat. Both of these responses to nutritional stress may actually be protective. As a corollary we can also conclude that “treating” blood hsCRP with statins is futile. In case Ridker’s web site is taken down in embarrassment, here is what Ridker’s site looks like so that posterity can see an example of the destruction of another profitable medical myth. A Russian hockey league is blamed for 19 year old Alexei Cherepanov’s death from atherosclerosis, proven by autopsy. Since when has hockey playing been a risk factor for atherosclerosis? 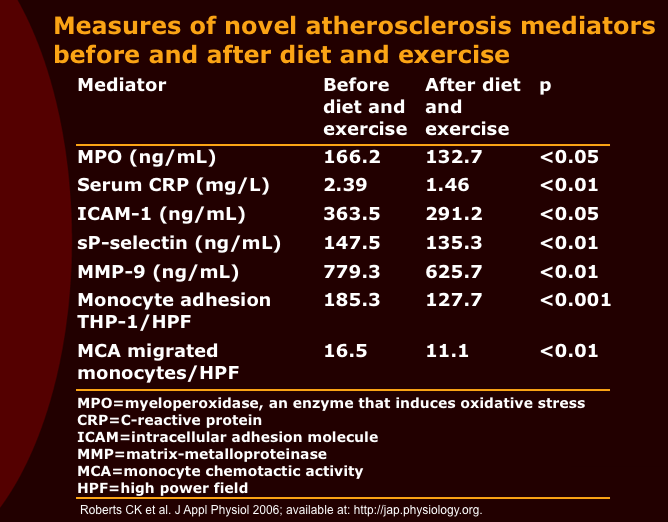 There are two causes: tobacco and an atherogenic diet. I assume he didn’t smoke. The league is blamed for not detecting it sooner. How would they have detected it? How do you predict atherosclerotic plaque rupture? If there is no plaque there is nothing to rupture. Plaque can be prevented and regressed by lifestyle alone. Did the coach ask him about his lifestyle, what he ate? After spending tens of $billions in DTC ads and bribes to doctors to terrorize the world into believing that blood “bad cholesterol” is the cause of atherosclerosis, the most common fatal disease, and selling hundreds of $billions worth of Lipitor to lower it, Pfizer has admitted there is no truth to and no more profit to be made from the myth of “dyslipidemia” that Pfizer and other peddlers of statin drugs created. Its much hyped drug, torceptripib, touted as the next Lipitor, which did all the “right” things to blood cholesterol actually worsened atherosclerosis in the ILLUSTRATE trial. Finally, the proof was in that high blood “bad cholesterol” is only a symptom of an atherogenic lifestyle, not the cause of atherosclerosis. But it will take a generation or two for the cholesterol myth to disappear. 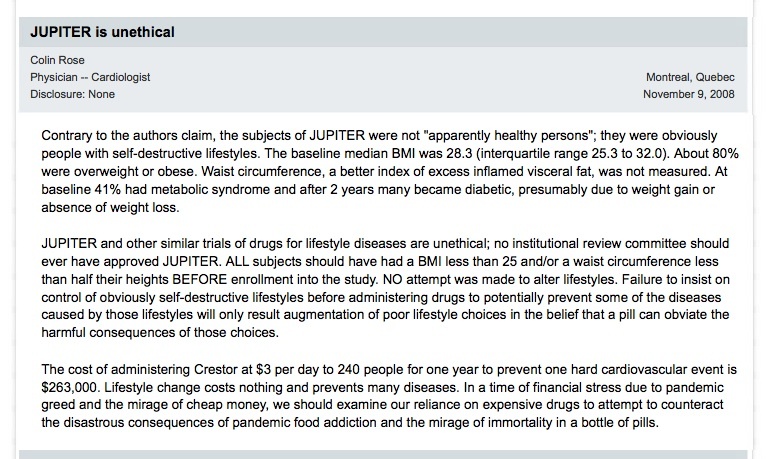 So now Pfizer is directing more of its research toward Type 2 diabetes, a disease directly related to obesity, which is directly related to the moral hazard effect created by the cholesterol myth (I can eat anything as long as my cholesterol is low). Very clever marketing! 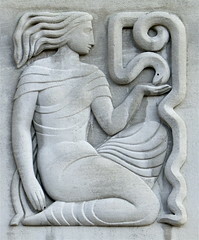 Create diseases, real or imagined, then sell high profit drugs to to “treat” numbers associated with them. Bottom line: obese people have heart attacks at least ten years sooner and have much more diabetes than thin people, regardless of their blood cholesterol. 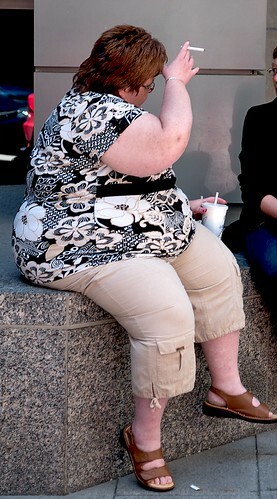 So all those who say fat is OK as long as you are happy are wrong. And all those drug dealers say you are OK as long as you take a statin to lower your “bad” cholesterol are selling you a very expensive mirage.